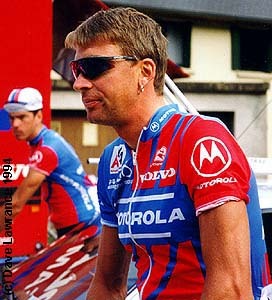 The pictures below were taken before the stage start of the 1992 Tour at Luxembourg. 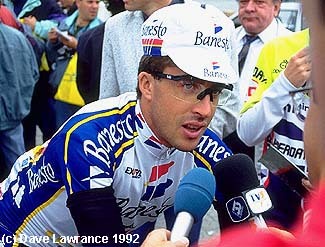 Pedro Delgado, a former Tour winner himself, still much in demand from the press and autograph hunters alike. 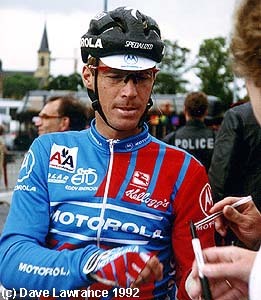 Steve Bauer signing autographs for the fans. 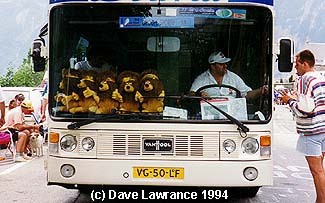 The number of felines in the GB MG team bus showed the teams success in the early part of this years race. 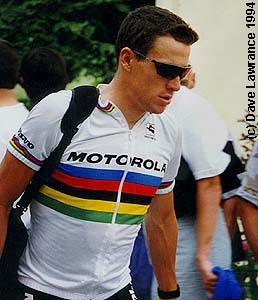 Even world champions have to carry their own bags! 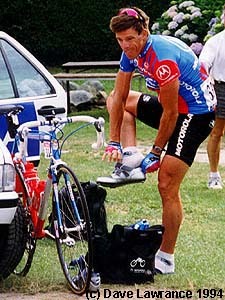 Phil Anderson dons his racing shoes before the mountain stage to Luz Ardiden. 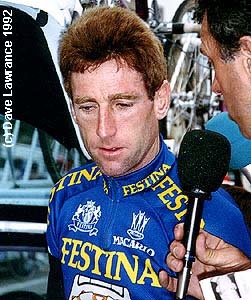 Sean Yates contemplates a tough day in the Pyrenees.